As the saying goes: I am not afraid of not knowing the goods, I am afraid that the goods are better than the goods! This time we compare the four critical illness risks on the market, this data sourceFinancial sector insurance product rating! We take the 30-year-old male, with a guaranteed amount of 200,000, and keep it for 20 years as an example. The following conclusions can be drawn. After the age of 18, the death benefit is paid. 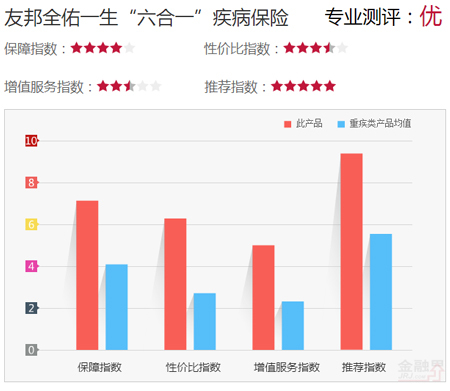 According toFinancial sector insurance product rating The system scores,Recommended The highest is the Great Wall Fukang Yannian Lifelong Major Disease Insurance, which is as high as 9.85. We can see from this that the "Great Wall Fukang Yannian Lifelong Serious Disease Insurance" product has 60 kinds of guaranteed diseases, and the highest "Xincheng Wellcome Major Disease Insurance" is 80 kinds. However, as far as protection is concerned, "Great Wall Fukang Yannian Lifelong Major Disease Insurance" "50% of the extra cost for malignant tumors", "age care gold" and "rate adjustment". Reminder: Buy a critical illness insurance, don't just look at the price and the number of guarantees. Let's take a look at these four products. The annual premium for the "Xincheng Wellcome Major Illness Insurance" is only 5,650 yuan, and the "Great Wall Fukang Yannian Lifelong Major Disease Insurance" can obtain up to 170% of the maximum amount of insurance coverage. But the price/performance index is only 5.48 and 5.78. 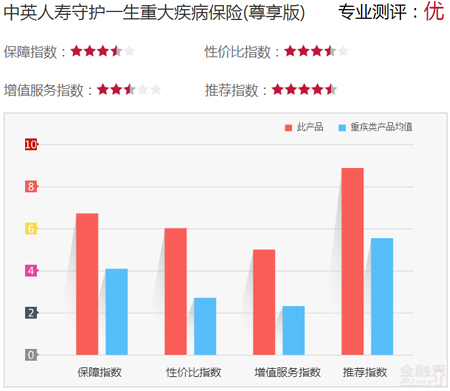 According toFinancial sector insurance product rating The team of experts said that if you have a major illness, you will be less likely to get the "maximum available insured amount". So it is not feasible to compare the literal price alone. 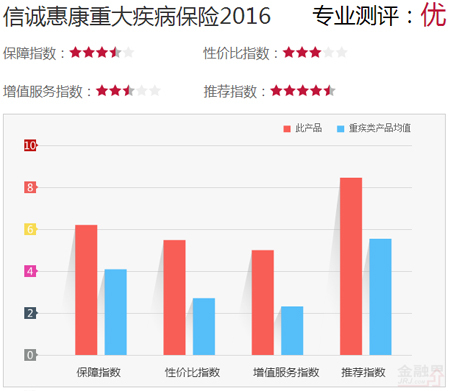 The number of severely protected cases of "Xincheng Wellcome Major Disease Insurance" is 68, and the number of mild protection is 12 kinds. However, this product does not have "50% insured amount for malignant tumors" and "geriatric care gold", so the index is only three and a half stars.